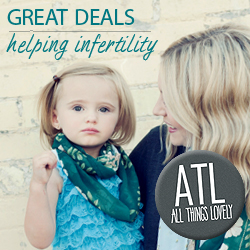 All Things Lovely Daily Deals is a unique site offering a large variety of discounted items with a twist. Part of each sale goes to a featured couple struggling with infertility to help pay for their treatments/adoption bills. They also have a donation page where people can donate directly to the cause. They have fun themed weeks like “All Things Harry Potter,” “All Things Christmas”, and a feature vintage shop with all their vintage finds each week. They have great success with baby items like, hair bows, leggings, bow ties and clothing. They also do great with Women’s clothing and accessories. Shopping with All Things Lovely Daily Deals is great because you get to find new unique items everyday and they offer FREE shipping every day all the time! Your choices are constantly changing so you can constantly be buying ! Plus you get to support great cause at the same time ! 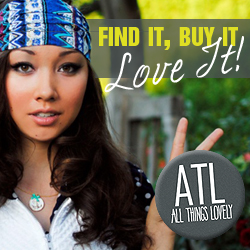 All Things Lovely Daily Deals is on, Facebook, Instagram, Blogger, Twitter, and You Tube !